While visiting the Sonoma & Napa Wine Country and the beautiful rugged Pacific Coastline visitors have an array of scenic drives to choose from. 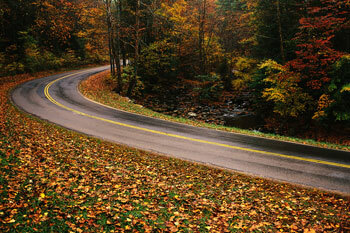 Each offers incredible views and extra ordinary beauty along the way. Natural gorgeous scenery is plentiful in Sonoma County. 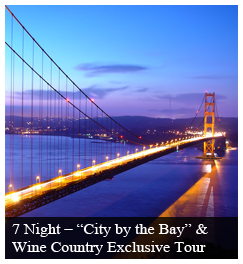 Showcasing panoramic landscapes of the Sonoma Coast with stunning and magnificent scenic overlooks that dot the coastline. Colorful rural vistas and vineyards are found further inland where you can sip and savor the wines of Sonoma County and Napa among boutique and celebrated world renowned wineries. 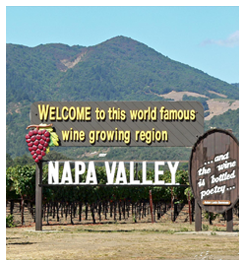 Napa with its rich heritage and wineries of great historical value including new and upcoming wineries of today provide a plentiful enrichment of sites to enjoy. From the north of the valley in the quaint town of Calistoga rich hot springs to sooth the soul. South to Yountville where quaint shops and restaurants are plentiful, this area has everything a visitor could possibly want. The area on Silverado Trail and Hwy. 29 will leave you with lasting impressions of a valley so beautiful where everywhere you look is covered with rolling hills of vineyards as far as the eye can see. Along with beauty of the giant redwoods, quaint towns, rolling hills of vineyards and magnificent views, world class wineries, intimate boutiques wineries there is the other bounty’s that Sonoma & Napa produce and receives world acclaimed recognition, this being the olive oil producers featuring world class olive oils and dairies offering tours and tastings of fabulous Sonoma County cheeses both of which have become worldwide producers. 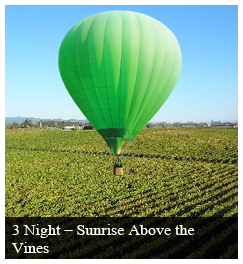 Come visit and experience them throughout the Sonoma County and Napa Wine and Coastal Regions. Along the way visiting these scenic areas will be one of the most pleasurable and unforgettable times you’ll ever experience –simply pathways to a perfect “Great Drive”. Viewing of wildlife and sea life is abundant up and down the coastline from seagulls to sea otters, elephant seals, harbor seals and sea lions. Tide pools are also full of starfish, sea crabs and other creatures along with the rocks covered in clams and mussels alike. A delicacy that is favored by all who love seafood is the abalone. Usually found beneath rocks when the tide is out. Fishing vessels from seaside villages up and down the coast can be seen overlooking the cliffs as they troll for the latest catch of the day. The Pacific Coast crab is a highlight and favored among visitors dining in all the seaside villages and most popular at Pier 39 in San Francisco. Crab pods can be found piled high at the fishing villages dotting the coastline awaiting the season to begin. Tourists from around the world are also drawn to the Pacific Coast to view the migration of the grey whales enroot from the Arctic Ocean and the Bering Sea to the Sea of Cortez where they will call in winter. From January thru May, mothers with their newborns hug the shoreline as they head north to feed in Alaska. Nearly 20,000 of these whales travel this route in the spring and winter. 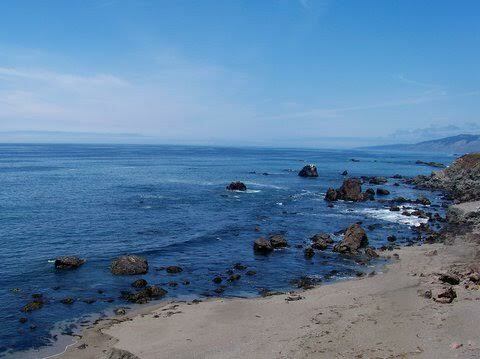 Some favorite viewing areas include; Stillwater Cove, Sea Ranch, Gualala Point Regional Park, Point Arena Lighthouse and many bluffs located in and around Fort Bragg. A must see is the Point Arena Lighthouse north of Gualala. When it comes to dazzling combinations of show stopping seascapes and world class picturesque views here is where you want to be. Set in one of the most spectacular yet peaceful surroundings on the northern California coast is the Point Arena Lighthouse. The lighthouse is 115 feet in height and you can climb to the top as lighthouse keepers have done for over 100 years. The lighthouse is situated on the closest point of land to the Hawaiian Islands in the continental United States. The point is surrounded on three sides by the Pacific Ocean offering views that will leave you spellbound. Guided tours of the lighthouse as well as self guided tours of the grounds are available daily from 10:00am until 3:30pm. Afterwards you’ll have plenty of time to shop in the lighthouse gift shop for unique souvenirs. Jewelry made from the famed abalone shells is a favorite among visitors. Open year round this is a must see. 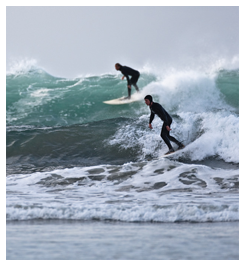 Following the coastal highway further north you’ll find atop rugged cliffs overlooking the Pacific Ocean the seaside town of Fort Bragg a small town with charm and sophistication. Plenty of dining options are available along with excellent wines and artesian breweries and quality shopping. We suggest lunching at the Cliff House Restaurant offering magnificent views. It’s no surprise that the Sonoma and Mendocino Coast are known for its rugged cliffs and crashing waves, let’s faces it, their hard to miss. A day spent traversing the coastal highway puts you in touch with nature and fond memories of your coastal adventure. No doubt one of the most celebrated “Great Drives” America has to offer. The views are simply breathtaking and by far considered one of our nation’s most cherished coastlines. Follow the Bohemian Highway to the coastal highway is nothing short of magnificent as you wind your way through hundreds of coastal redwoods, giants of magnificent proportion. Many stop in Camp Meeker for the opportunity to soar among these great giants on a canopy tour. Continuing on you enter into the river town of Monte Rio on the Russian River where beach goers gather along the river all summer long. Heading west along the Russian River you’ll cross the Russian River just outside of Duncans Mills heading to the coastal highway enroot to the fishing village of Bodega Bay. Along the way the rugged coastline pounding waves create stunning views as the spray of the ocean shoots into the air. This stretch of coastal highway is plentiful with beaches to stop and view the ocean. Arriving into Bodega Bay you immediately recognize why Alfred Hitchcock chose this small coastal village for the movie. Bodega Bay is a centre for bird migration. The air is full of squawking and chattering birds. Truly a great place for bird watching even for amateurs. 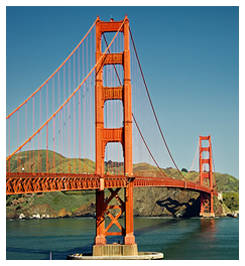 In the movie; star Tippi Hedren took a small boat across the bay for which you can follow the route by car to the other side of the bay. Here you’ll find the outlet of the bay where local fisherman sail from daily for the latest “catch of the day” for the local restaurants. The views of the coast are simply breathtaking with plenty of coastal trails to view the aw-inspiring cliffs as the ocean in its magnificent beauty offer stunning views from above. Returning to the inland side of the bay you’ll find The Tides Wharf & Restaurant where in the movie locals gathered to be sheltered from the bird attack in the movie. A menu full of delectable seafood is available while viewing the surround views of the bay. Be sure to ask for a window table. After lunch, continue south on Coastal Highway 1 heading just a few miles inland is the town of Bodega. Here you’ll find the schoolhouse where the children ran downhill to find shelter from the attack of the birds. You’ll feel if you have stepped directly into the scenes of the movie on this journey. The local store proudly displays a statue of Alfred Hitchcock for which you would truly assume it is him, if you didn’t know better. A suggested return route follows inland just a few miles taking the direction over the relatively gentle grades of the coastal mountains. The giant redwoods are spectacular as you traverse through the rolling hills dropping into the quaint old logging town of Occidental. This classic old town feel is home to the Union Hotel. Cozy up to the historical bar where locals and tourists gather for a traditional taste of real Italian cooking including fabulous pizza made with local fresh ingredients and homemade sausage and pepperoni; a recipe from the family dating back 100 years. Returning to Occidental and following the drive that takes you back up on top of this hills of Occidental provide views of the coastal mountains of vast proportion. This “Great Drive” features living film history of this storied route proving not everything is for the birds. Perhaps check out our Scenic Bike Packages! Come explore the wonderful world of wine along the “Wine Road” celebrating the wines of Sonoma County at boutique and world renowned wineries. Your drive begins heading north towards the small town of Forrestville to the Russian River. On your way along Hwy. 116 you’ll find the home of Kozlowski Farms and Mom’s Apple Pie local purveryers of fabulous pies, jams and fruits. Gather items from their Gourmet Deli featuring epicurean delights as you begin your journey of the celebrated Wine Road. Just outside the town of Forrestville you’ll cross the Russian River to begin your journey along the celebrated wine road. As you continue inland you’ll head north just outside the town of Forestville where you’ll cross the Russian River on one of the oldest one lane bridges in Sonoma County “Wohler Bridge”. Once crossing the bridge you’ll take a quick left turn enroot to Gary Farrell Vineyards located atop the hills overlooking the majestic views of the Russian River Valley. Tasting wines from their portfolio on their terrace overlooking the valley is nothing short of spectacular. 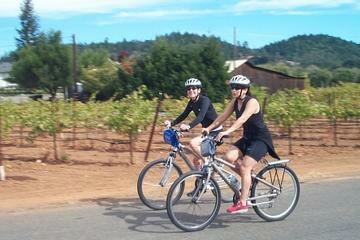 Following your visit you’ll journey along the Wine Road through the Russian River and Dry Creek Valley’s. Following the Wine Road you’ll pass by spectacular landscapes of rolling hills and miles and miles of vineyards. As you meander along the Wine Road each corner and turn you’ll find tasting rooms along the way. You’ll have the opportunity to taste wines among scenic backdrops with pastoral settings to include wine caves, boutique wineries located in hundred year old barns to world famous estates that also dot the landscape throughout the valleys. Along the Wine Road you’ll find a kaleidoscope array of glimpses in the world of winemaking from decades back. Suggested stops along the way include; Thomas George Estates; a magnificent tasting room hidden in the caves of the mountain terrain. 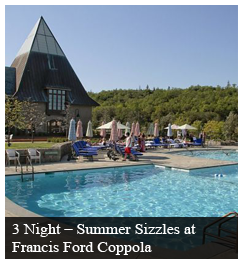 Other stops perhaps would include; Arista Winery, Gracianna, Matrix, VML, Hop Kiln, Twomey Cellars just to name a few. Arriving into the town of Healdsburg –a quaint town home to many tasting rooms on the square, fabulous restaurants and boutiques which has become a haven for wine county visitors. A suggested stop for lunch is Willi’s Seafood & Raw Bar. Willi’s is nothing short of magnificent as their menu features choices of items designed for sharing including at least eight varieties of fresh oysters to that tantalize your palate paired with a profusion of fine wines from Sonoma County vintners. Following lunch visiting the Alexander and Dry Creek Valley’s is a must. Along these valley’s you’ll find an impressive array of wineries with a reputation for finely handcrafted wines offering bold zinfandels and sauvignon Blanc’s and chardonnays rich in taste. The pleasure of your company is truly welcomed among the ambiance of inviting tasting rooms, lively conversation and sharing the flavors of the vines which will leave you with fond memories for a lifetime. 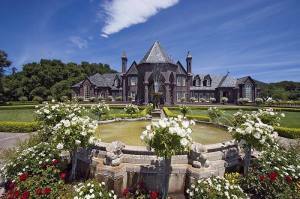 A suggestive few include; Simi Winery, Jordan, Stones Street, Ferrari Carano, Raymond Burr Vineyards, Dry Creek Vineyards. The Wine Road takes you along the area where Sonoma County’s vintners proudly showcase their craft of making award winning wines. Come sip and savor some of the world’s finest wines in the heart of the Sonoma Wine Country featured in this Great Drive. A magnificent drive among the awe-inspiring “Giants” is absolutely spectacular. An unhurried experience awaits you along the way –a lush forested country charm with towering redwoods. 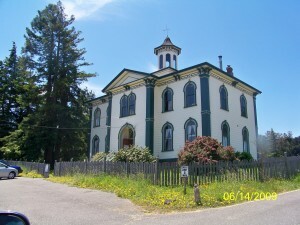 Just a few minutes drive from Daisy’s Guest House you’ll find the quaint town of Occidental. Situated in the giant redwoods in a canyon is this old logging town once home to the railroad. This classic old town feel is also home to the Union Hotel where locals and visitors alike cozy up to the historical bar for a traditional taste of real Italian cooking. Locals stop in for their fabulous pizza made with local fresh ingriendents and homemade sausage and pepperoni a recipe in the family dating back 100 years. Following west along the Bohemian Highway allow for a stop in Camp Meeker home of Alliance Redwoods where you can soar among the redwoods on a canopy zip line tour. Reveal your inner kid sailing through the redwoods on a zip line under the canopy of these great giants. Choose from 7 adrenaline pumping zip lines over one 800’ long with 2 sky bridges with a majestic spiral staircase in the air. As you continue your drive along the Bohemian Highway groves and groves of these towering giants leave the area blanketed from daylight. At stops along the way you’ll encounter jungles of lush ferns among the towering groves of redwoods. You’ll find yourselves meandering through these towering giants that dot the coastal mountains of the Sonoma Coast. Soon you’ll come to the small Russian River town of Monte Rio where you’ll cross the river bridge onto the Bohemian Highway. This river town is the perfect beach town and host to all types of water sports. This celebrated area is home to the Bohemian Grove where stars, presidents, senators and the rich and famous gather each year to cohabitate in rustic surroundings for what they call a real mans club. Backtracking slightly you won’t want to miss the small river town of Duncan’s Mill. You’ll come to the small river town such as Duncan’s Mill. This little town consists of a charming general store, fine restaurants, a candy store, coffee shop and several other attractions including wine and cheese tasting. Once a year the town roars when it hosts the Russian River Rodeo or the reenactment of history during Civil War Days. Duncan’s Mills lies in arguably the most beautiful setting along the Russian River. Heading east you’ll find the small bustling town of Guerneville along the Russian River a haven for summer visitors. The Russian River is home to unique local flavor and an unhurried experience along the way. Following the Russian River you’ll arrive into the hip river town of Guerneville a haven for summer visitors. Located just outside of Guerneville is Armstrong Redwood National Reserve where these majestic giants tower among hillsides of this 805 acre reserve. With miles of nature trails visitors can enjoy the forest by foot or horseback. The reserve has a large outdoor amphitheatre and plenty of picnic facilities. Your first stop in the Russian River Valley is the home of Korbel Champagne Cellars where the heritage of crafting fine champagnes has continued for over a decade. The Korbel Brothers traditions are rich in heritage among their tastings room, cellars gardens and their beautiful vineyards that traverse along the river’s edge. Following what will be a fabulous tour exemplifying the hard work and innovation that makes Korbel Champagnes Cellars what it is today is complimentary champagne tasting in their historical tasting room following your tour. Gather items from their Gourmet Deli featuring epicurean delights as you begin your journey of the celebrated Wine Road. As you continue east along the Russian River arriving into the town of Forestville home of Burkes Canoe Trips where you can follow the Russian River for a ten mile self-guided canoe trip through the Redwoods with return shuttle included. Picnic, swim and sunbathe at beaches along this magnificent stretch of the river. Follow the less traveled route leads you through the hillsides of West Sonoma County where vineyards have become abundant. 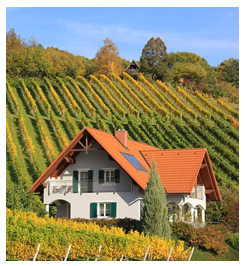 Once an area of apples orchards only now gives way to the vineyards of this sought after growing area. Several wineries are found along the way including; Taft Street Winery, Dutton Goldfield Ranch, Merry Edwards, Lynmar Estate, Iron Horse Vineyards, DeLoach Vineyards, Russian River Vineyards and Iron Horse Vineyards to name a few. If you favor desserts stop by Mom’s Apple Pies where you can find a choice of 16 fruit and cream pies sold fresh daily. 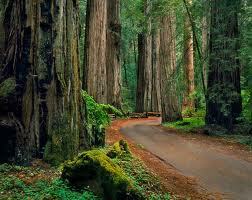 The California Redwood “Giants” are found throughout Sonoma County and offer a pleasurable ride to all who visit. Traveling among the quiet towns and these grand giants makes this one of the most pleasurable “Great Drive” experiences. Heading west from Daisy’s Guest House along Occidental Road to Hwy 12 you’ll begin your journey to the world class Sonoma Valley for a day of fine wine tasting among world class estate wineries and intimate boutique wineries. The Valley of the Moon is tucked between the Sonoma and Mayacamus Mountains and is home to sprawling landscapes of wineries along the way. Suggested stops include the famed Kenwood Castle home of Ledson Winery where sprawling landscapes of vineyards vistas extend over the entire countryside for miles and miles. Other suggested stops at other celebrated wineries include; Kunde Winery & Vineyards where mountain top tasting is a favorite among visitors. 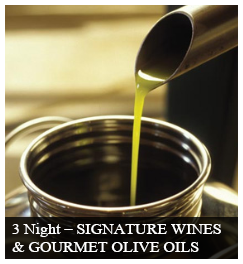 BR Cohn Vineyards and Olive Company is a must visit –tasting fine wines or their fabulous olive oils is sure to be a highlight of your day visiting this renowned wine region. Once you arrive in the town of Sonoma we suggest having lunch on the square at Sonoma Cheese Factory & Delhi. Perhaps a trolley tour visiting outlining wineries with lunch at a local winery is on your agenda. Just minutes from the town square Sebastiani Vineyards one of the first wineries in the valley offers a complimentary trolley to their historical winery and marketplace. You’ll find plenty of time to shop at the many boutiques that dot the square or just relaxing under the oak trees. The Valley of the Moon is home to wine country cuisine that is exceptional to the palate. Heading south on the coastal highway from Timber Cove Inn you’ll come to Fort Ross State Park. Fort Ross was settled in 1812 by the Russian-American Trading Company. The southernmost outpost of the Russian Colonial Empire is now a 2,000 acre compound featuring reconstructed redwood buildings. After visiting the park you’ll proceed directly across from the entrance to the park up into the coastal mountains. The scenic views are nothing short of magnificent as the coastal picture widens the views of the rugged coast and sandy beaches extend forever. Plenty of pull over areas are available for viewing. Once the ocean is out of site you become amerced in the towering Redwood Giants that cover the Pacific Coastal Mountains. Winding around the mountains you’ll find spectacular views along the route. The mountain road meanders up and around and as you begin to see areas of cabins and mountain homes you know you are nearing the small mountain town of Cazadero. Mainly composed of a small local store, churches and post office this small community is simply beautifully set among spectacular landscapes. Located on Cazadero Creek among towering redwood groves is Raymond’s Bakery popular among locals and visitors for pizza pies. Following Cazadero Creek you’ll find yourselves returning to daylight after the immersion of the canopies of the beautiful giants of the California Redwoods. You’ll return to the Bohemian Highway along the Russian River a resort region and a haven for summer visitors. Returning to the coast you’ll pass through Duncans Mills a picturesque little village and home to a restored railroad depot. This little town consists of a charming general store, fine restaurants, a candy store, coffee shop and several other attractions including wine and cheese tasting. Once a year the town roars when it hosts the Russian River Rodeo or the reenactment of history during Civil War Days. Duncan’s Mills lies in arguably the most beautiful setting along the Russian River. Following your drive through the coastal mountains you begin you return to the coast along the river’s edge returning to the seaside village of Jenner. Allow time to stop along the scenic overlooks to view where the sea lions migrate year round to the beaches of the inlet creating a perfect feeding ground for this wonderful creature of the sea.